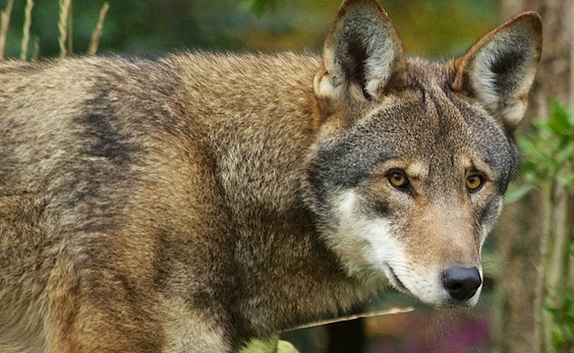 The critically endangered American red wolf might have been saved from extinction. Chief Judge Terrence W. Boyle reminded the U.S. Fish and Wildlife Service, which gave the authorization, of its own statement in 1999. “Wildlife are not the property of landowners but belong to the public and are managed by state and federal governments for the public good,” he wrote. Boyle ruled that a temporary injunction issued against Fish and Wildlife’s shoot-to-kill authorization in 2016 during the Obama administration is permanent. The agency must prove that a wolf is a threat to humans or livestock before it can make a decision to take its life. 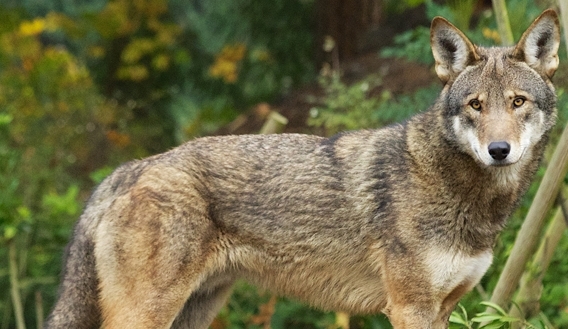 Deciding in favor of the Red Wolf Coalition, Defenders of Wildlife and the Animal Welfare Institute — conservation groups that sued Fish and Wildlife — Boyle said the agency violated a rule passed by Congress to resurrect them, protect them, conserve the species and determine the impact of allowing people to slaughter the few that remain in and around the Alligator River National Wildlife Refuge in North Carolina. Red wolves once roamed the entire southeastern United States before government-sanctioned hunting programs all but eliminated them. The animals were so desperate to survive that they started breeding with smaller coyotes that they once chased away or killed. In the late 1970s, a few wolves were captured and bred in zoos. About 10 years later, an experimental population was released into the North Carolina refuge in a bid to repopulate the animals in the wild. In what was hailed as a biological success, two breeding pairs expanded to nearly 140 in the early 2000s. But in 2012, as a few private landowners and state wildlife officials put pressure on the service to end the program in North Carolina, the population went into a startling decline. Boyle drew a connection between state agitation against the wolves and a change in federal management. In addition to allowing red wolves to be killed, managers stopped releasing wolves into the wild or assuring the survival of pups. Meanwhile, a state program that allowed coyote hunting resulted in numerous red wolf deaths. Hunters who killed wolves said they mistook them for coyotes. The court’s decision stands to significantly alter the Fish and Wildlife Service’s most recent plan to manage the wolves, announced in June. That plan, if approved, would allow North Carolina landowners to kill any wolf that stepped onto their property. Only 35 wolves remain in the five-county area where they are managed. At the time of the June announcement, Leopoldo Miranda, assistant director for ecological services in the agency’s southeast region, said that the goal would be to intensively manage a small population of 10 to 15 red wolves at the refuge. The hope, Miranda said, would be to preserve their genetic value and wild behaviors so that red wolves could be released into an environment more friendly than eastern North Carolina. Miranda would not say whether such a place had been found or considered. Fish and Wildlife spokesman Phil Kloer said the agency does not comment on matters in litigation. Conservation groups praised the court’s decision while denouncing the federal government. Responses to "Federal judge blasts Fish and Wildlife Service, says endangered wolves cannot be shot"
Extinction is permanent-there's no" Do over." if only people would understand all life on earth is intertwined- elimination of a species has a negative cascading effect on many others. We must get the current corrupt grifters out of office; so more rational; understanding minds can prevail... before it is TOO LATE for dozens of U.S. wildlife and plant species- and before the air and water is no longer compatible with ALL life. God Bless this very much loved Judge Terrance W. Boyle. Gives me hope there is still sanity in this World ! Love this judge! Tell land owners to learn how to live with wolves. They might find their land is healthier. This Judge should be celebrated. Without our planet, nothing else matters. We are at a place in time, when each species, each element needs to be respected for having a piece in this puzzle of future plans to save this planet. The end of destruction must be enforced by the Judges anad politicians. The endangered species act was intended to prevent extinction. So everyone who has shot an endangered species should be charged in my opinion.